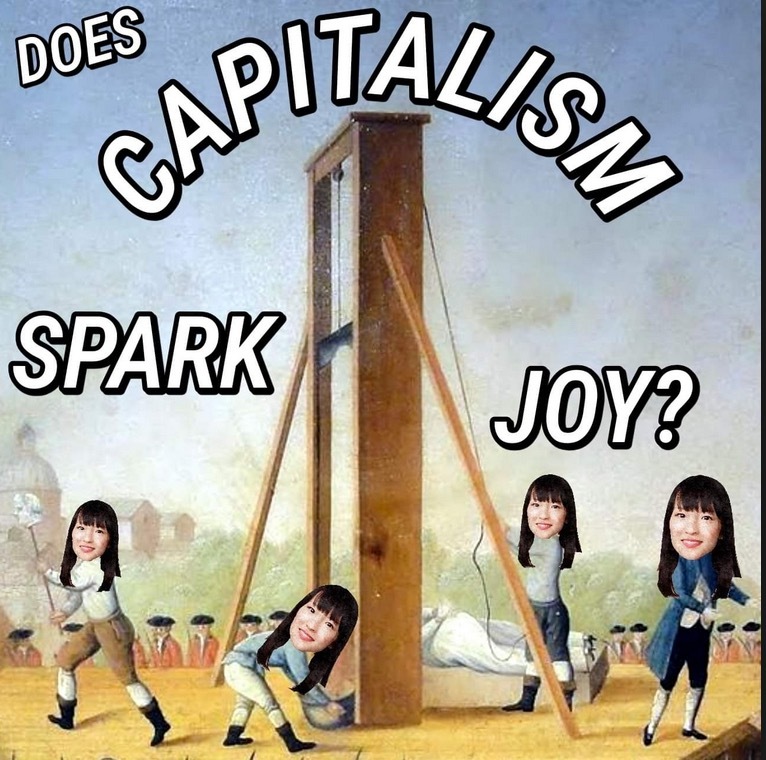 I am captivated by America’s fascination with Marie Kondo. Named Time’s most influential person, Kondo is a 34-year old Japanese millennial (or xennial is it?) and professional home organizer whose books have sold millions of copies. Over the past few years, her company has transformed into a global communications platform spreading the gospel of tidying up clutter. Overnight, my girlfriends ditched our happy hour rituals (a.k.a. venting sessions) to stay home and organize their cramped urban apartments using the latest KonMari Method. One friend even texted me before and after pictures of her closet, to which I sardonically replied with links to Kondo’s organizing boxes, which sell for $89 apiece. What the hell? I didn’t know who to be upset at more: my friends, for buying into the latest self-help fad, or myself, for not being savvy enough to make a quick buck from the pathologies of late-capitalism, where folding rituals seem to melt away anxieties produced by working long hours, sexless marriages and raising bratty kids in homes you can’t afford. As I sat amid my stacks of books, a beer in hand, binge-watching the Netflix hit Tidying Up With Marie Kondo, I couldn’t help but reflect on what this newfound American fascination with finding joy in organizing your cluttered home meant. So, I read a million think pieces, and even joined a Facebook group dedicated to professional organizers who bemoaned that their future as self-employed entrepreneurs in the DYI organizational world would soon be obsolete thanks to Kondo’s superior method. I followed Twitter accounts of Kondo devotees, others angry at the guru’s attempt to get rid of their books (I can sympathize), and most recently, those defending her against racist vitriol—Marie Kondo is Japanese, and in the show she visits people’s homes accompanied by a translator. Taken as a whole, the fad began to make sense to me, especially in a country where post war boom and the culture of consumerism that shaped and molded the middle class stands in decline. 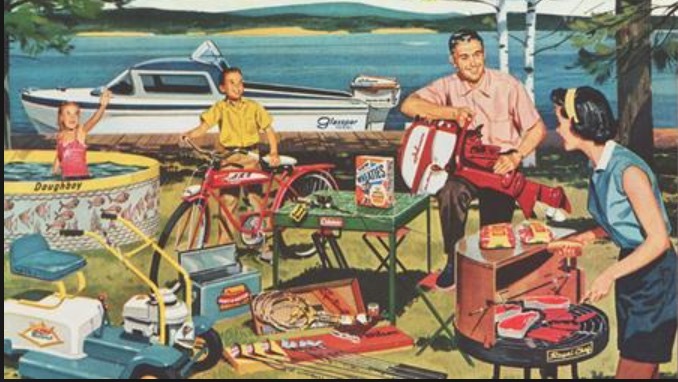 Purging, it seems, is the the only solution remaining to the crisis of the American middle-class, and a way to bring temporary “joy” to families overrun by work and alienation. Tidying Up presents Americans drowning in commodities, as many families simultaneously face the need to do more with less. American households are saddled not just with items they will never find use for, but also high mortgages, and rising costs of food, child care, and tuition. In the third episode, a family of four has recently moved from Michigan to Los Angeles for better work opportunities, replacing a spacious home with a two-bedroom apartment. “We are doing the best,” father Douglas somberly recounts, “we can because it’s a smaller space than we are used to. But we feel stressed at home because of the clutter.” Yet, most of the burden of housework falls on Katrina, a mom who blames herself for the family’s disorganization. “It’s my responsibility to do the laundry, go to the grocery store, wash dishes, cook, and I’ve got to clean the kids’ room. I feel like I’m failing in that area, which is not okay for me. I want to create a home that they remember. I want them to remember when they had peace of mind, and they had a lot of love, and where their support came from, when they were growing up.” As she speaks, tears roll down her cheeks. Despite her status as de facto housewife, Katrina is also the primary breadwinner. To this, Kondo promises to the viewer her method of tidying up will lead to a more equal distribution of household management: the children and the husband will learn to pull their weight. Kondo’s visits to homes exposes a hidden layer of frayed social relationships between family members: an unequal division of labor where women still do more housework than men, parents fret over from the inability to strike the “right” balance between work and family life, partners have lost the intimacy in the exhaustion of their day to day and seem to be bound together only by the task of raising their children. These fractious family units often appear united solely by the sheer shame and guilt they are made to feel over the amount of crap they own. In the second episode, Kondo advises a retired couple who has been married forty-two years, and whose children have long left the home. They spend their days sitting in silence, estranged from each other though close by. Kondo presents an opportunity not just to organize their cluttered home, but to do something where “we’re both going to be involved together.” In this and many other episodes, addressing household clutter becomes a way to also repair the relationship between life partners who have long run out of common ground. As the wife remarks: “This has been a really fun thing for us. We’ve laughed a lot. I think the both of us have gotten closer and its brought a lot of joy in my life.” Once sock drawers, kids’ rooms and garages are tidied up, we find that couples find ways to be nicer to each other. The camera accentuates them holding hands, and looking at each other with love and affection. “My joy is to spark joy in the world through cleaning,” Kondo tells us at the onset of each episode. Her method of tidying up revolves around the act of heavily purging one’s possessions, keeping what “sparks joy,” and even folding clothes in specific ways to save space. In the process, her method provides its practitioner a semblance of control over their life choices. One husband is happy that he can keep ten baseball cards as opposed to the thousand he owned. Material goods (even if in fewer quantities) can be enjoyed again, with Kondo’s permission. Objects are repurposed and spark more joy in their owner. The major realization Kondo’s clients have is that they own things that they don’t need, and most importantly, a home filled with these things hasn’t managed to make their lives easier or happier. 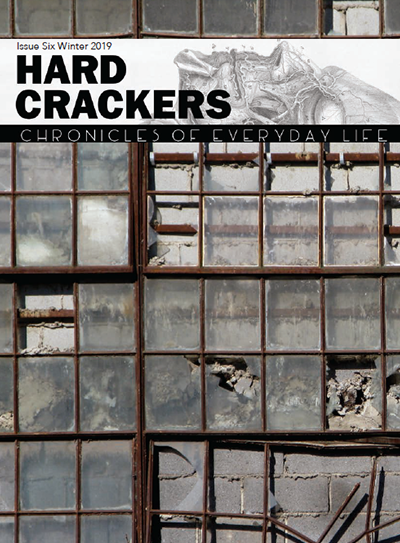 Watching analogues of themselves, the viewer is exposed to how consumerism—the basic foundations of the American middle class, has made people more miserable, and has transformed them into hoarders. Like a good businesswoman, Mari Kondo has tuned in to our penchant to use retail therapy to deal with anxiety, depression and general catching up with the Jones’ to sell us an overpriced folding technique. In San Francisco, the hub of techno-capitalist nightmares, her company KonMarie Media Inc. relies solely on 20 people to “organize the world” and spread her vision. Her brand is aided by two recent interrelated trends in American social life: the growth of happiness studies and the embrace of a minimalist aesthetic among the creative classes. At the bottom of these shifts is that happiness is a choice and that we can achieve it by relying less on material things and going out to experience “the world.” If you are a cynical person like I am it’s hard not to see these trends as a new age band-aid solution to capitalist crisis of housing and work. The notion that if we opt out of consumerist culture and buy less, share our working and living spaces or live in tiny homes on the edge of some cliff somewhere with no internet access we can escape the harsh realities of paying rent, working long hours, of generally having to struggle to reproduce ourselves on an every-day basis seems like our own modern-day pipe dream. Wouldn’t it be nice to ditch your boss and landlord and live on a farm instead? At the heart of the minimalist aesthetic is the notion that we have lost our way—the purpose and meaning that our lives have in the quest for material things. Its only by cutting down on the stuff we own that we can pursue more important life goals. Of course this trend is not lost on companies and capitalists who easily profit by focusing on cultivating experiences. In each episode, families purge clothing items they have never worn, many of them still with tags attached. It seems we are buried in the availability of cheap consumer items which also reflects America’s position in the world economy. One of the things that struck my family and I when we moved to the US was how cheap clothing was. In an instance, we had monthly requests from family members back home to send them clothes. In my mom’s neighborhood, I still see immigrant women shipping off boxes of clothes to the Dominican Republic, Ecuador and other places. Online shopping and companies like Amazon have made consumer items even cheaper—due to just how much they save by hiring their workers part time and paying them so little. Yet it seems like American families are not the only ones throwing away their goods. A recent expose of Amazon distribution centers by a French TV channel states that in one location alone, over 290,000 items have been destroyed. 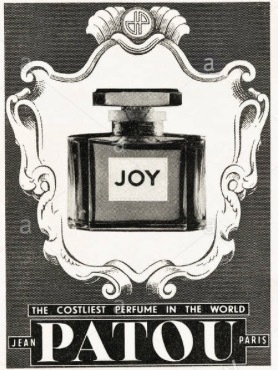 Kondo’s method of bringing joy to household management is not new. For a long time, happiness and workplace management have gone hand in hand. The smiley face which we text to loved ones and which bounces around Walmart commercials was created in 1963 when Harvey Ball was hired by the State Mutual Life Assurance Company in Worcester to come up with a design aesthetic that would boost worker morale. Kondo’s brand, however, relies on a particular rendering of Japanese culture—one that incorporates mindfulness as the main technique behind self-care and self-help. One of the first things Kondo does when she enters a home is to take a moment and “thank it”—she also teaches her clients to thank the clothes and items before they discard them. Kondo’s method cannot be divorced from the trappings of cultural authenticity that it comes wrapped it, with roots in the Shinto spiritual belief system in which Kondo’s work claims influence. A more materialist consideration of the Japanese roots of Kondo’s method sheds light on its popularity. Americans surely have become the poster children of global stress levels. But we are not alone. In the 1990s, when the financial bubble burst in Japan, havoc, stress, anxiety and overwork became an everyday reality for millions of young workers. While in American culture, Japan is glorified as the land of spirituality, Japanese capitalists have fine-tuned management techniques aimed at squeezing the most out of their workforce. Sunmark Publishing, the original publisher of Kondo’s books, has also churned out other Japanese best-sellers for a western audience including Even the Stiffest People Can Do the Splits and Trunk Muscle Reset Diet. In Japan, this style of self-help books is also called jiko-keihatsu, meaning self-enlightenment and development. Ironically jiko-keihatsu is also a learning method in employment sectors which rely on workers to learn on their own if they want to obtain and keep good jobs. In their study of these labor shifts in the post-1990s recession, Ishida and Slater argue that the rise of self-learning marks an important transformation in the J-model credential society. In interviews with Japanese youth, who grew up in the bursting of the financial bubbles of the 1990s, Andrea Gevurtz Arai  finds that young people feel pressured to acquire new skills, to build better credentials. As he observes “Workers must arrive on the market with the knowledge and skills to be trained as well as with demonstrable competency for innovative and self-directed abilities to contribute to the rapidly changing knowledge economy” (152). In Japan, as in the US and elsewhere, a college degree is no guarantee of stable employment. This was made clear to young Kondo, armed as she was with a sociology degree that had little value on the labor market. But Kondo doesn’t have to worry about bills now. With an army of well-trained professional organizers charging $100 an hour (not including travel costs), Kondo continues to profit off the clutter and consumerism of middle-class Americans and those that aspire to the misery of this status. Marie’s method helps families realize the joy they replaced with working long hours just so they can afford to buy more things they don’t need. Wouldn’t it be nice if we didn’t have to hire middle managers like Marie Kondo to feel and live our lives? Shouldn’t we have more time with children and loved ones, and the freedom do things that bring out the full richness of our humanity, not determined by the nature of the economic system we live in? Yet, today we keep being promised more and more of the same by politicians. From Democratic party darlings like Stacey Adams, blaming Republicans for the inability of average Americans to be middle-class, to “Green New Deal” initiatives promising remunerative, if not meaningful, work for all, we are told time and time again that we can be all be middle-class. And while we can all sympathize with wanting to be not be economically insecure all the time, shouldn’t we demand an existence that is not based on living pay check to pay check and soothing our alienation with stuff? What would it mean to fight for a life that truly brings us more joy? See Social Class in Contemporary Japan: Structures, Sorting and Strategies edited by Hiroshi Ishida and David H. Slater. The report listed six factors used to crunch these numbers: (1) GDP per capita; (2) social support (i.e., having someone to count on); (3) healthy life expectancy; (4) freedom to make life choices; (5) prevalence of generosity (i.e., behavior of donating after income adjustment); and (6) perceptions of corruption. At the rate we’re going now in the U.S., it MIGHT mean Zhandarka Kurti being ARRESTED as a Communist or an Anarchist. Ponder over that, in relation to the subject of your article.